Pieces from various places and parts of Aly Spaltro’s world exude throughout the colorful lyrics and retro tunes that make up her moniker, Lady Lamb the Beekeeper. A southwest-meets-northeast history and a current Brooklyn base gives way to the whimsical language, imagery and tone of much of Spaltro’s music. She has engagedaudiences with her original approach to songwriting and sound, as well as offered an artistic outlet for fans to share their creativity through their visual artwork, a unique concept found in the indie music world. 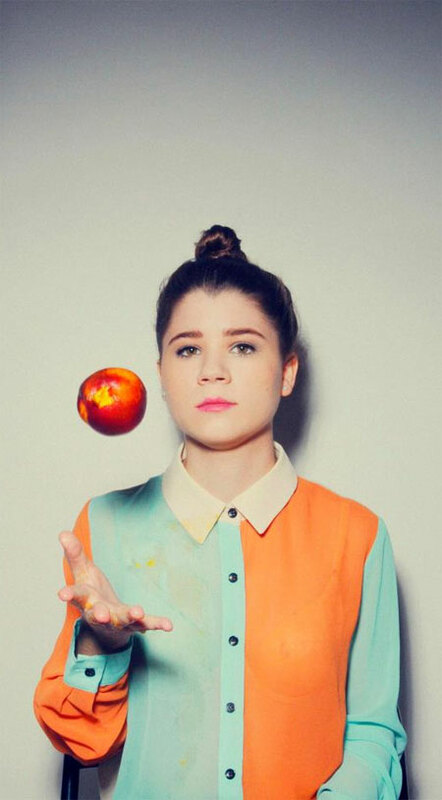 This artist/fan connection is evident in any Lady Lamb performance, as she thrives off of the energy and feedback she feels in performing for her loyal and loving fans. Who are some of the local NYC artists that you've enjoyed collaborating with over the years? My two favorites would have to be Sharon Van Etten and Cuddle Magic. Sharon is so talented and genuine. She's kind and supportive and I am very grateful to have shared the stage with her. My favorite band hands down in this city is Cuddle Magic, a six-piece that I've had the privilege of playing a handful of shows with. They are truly one of the most innovative and impressive bands I have ever heard. Their live shows are phenomenal, and I highly recommend seeing one! 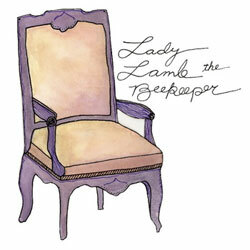 Where did the name "Lady Lamb the Beekeeper" originate from? Lady Lamb the Beekeeper was something written down in sloppy cursive in the notebook beside my bed one morning, around the time I was training myself to write my dreams out as I could remember them-- once they'd awoken me in the middle of the night. I have no recollection of why I wrote it, but it was around the same time I began making my first recordings and wanted to be able to put them out in my hometown under a moniker so no one who might know me could initially trace the recordings back to me! What inspired you to start encouraging fans to submit their artwork for you to post on your website? Are you an artist as well? I don't draw often, but I do enjoy it, and have made the art for all my releases to date, and many of my early show posters and promotions. In high school, my favorite bands' lyrics used to inspire me to draw pictures of my own interpretations of the words. I wanted to make visual representations for the lyrics that most evoked a visual for me (my favorite band's lyrics I used to draw out were The Fiery Furnaces!). People started sending me some of their artwork which reminded me of how much fun I had trying to get my own drawings to bands I loved, and being so impressed by people's work, I wanted to give them a platform to share it! How have the different places you've lived influenced your music and lyrics? All the places I have lived have certainly inspired me to write songs about specific experiences I had there, if not directly about the particular place. I would say that Maine has been my biggest influence as far as places go, and I tend to write often about the Coast of Maine in some way or another. Well, I really love living in Brooklyn, and Maine will always be the place I go back to, but if I could live anywhere else, I would have to say Trier, Germany. It was about a half hour drive from where my family and I lived when I was younger, and I became so enamored with the history and architecture there. If I could, I would have an apartment in the heart of the city. What is your favorite part of a live performance? I love getting lost in the performance of a song, and the moment that I snap back into reality and realize I had just traveled deep within a song is pretty amazing. Also, it goes without saying, the feeling of the connection that happens in a full room of strangers. It's hard to describe exactly, but I think everyone has experienced at one time or another- both musician, and audience member-that special thing that can occur when everyone in the room feels like someone you love and relate to under the shared experience of that hour, in that particular space. It is a connection I don't believe you can find exactly that way in any other circumstance in life, and in that way I believe is very sacred.
" Lady Lamb the Beekeeper was something written down in sloppy cursive in the notebook beside my bed one morning, around the time I was training myself to write my dreams out as I could remember them. " Sprawling, lyrical, electric jungle soul, for those who like PJ Harvey, Neutral Milk Hotel, Sharon Van Etten.